Distressed jeans have been around for quite some time, but I've never been a fan. Well, I wasn't until now. They always seemed so pointless to me; why would you want an item that's meant to keep you warm to have massive holes in them?! But yes, the trend got me and I had to have a pair of my own. I purchased these highwaisted jeans from Rivers a fair few years ago and I'd barely been wearing them, so naturally I decided to rip them up. I like the subtle rips without losing too much warmth. I've been seeing the trend literally everywhere. 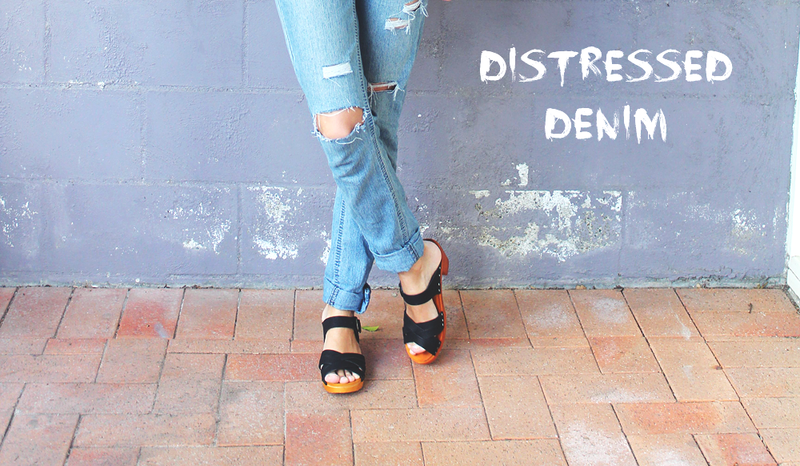 Are you a distressed denim lover? The jeans look amazing :) The outfit is very nice. I love your top. it is super pretty.